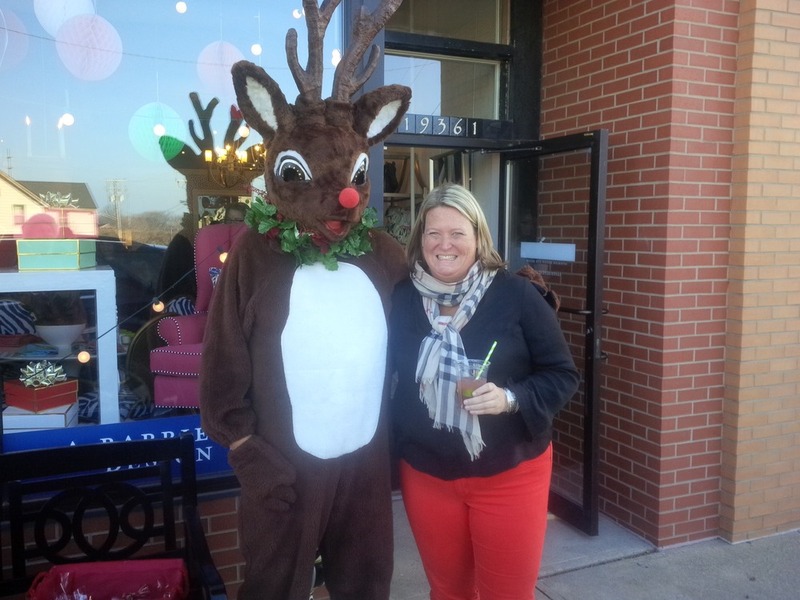 The Holiday season kick-off in Downtown River was a great success! A big thank you goes to the Mayor, the merchants, the shoppers and of course Mother Nature! 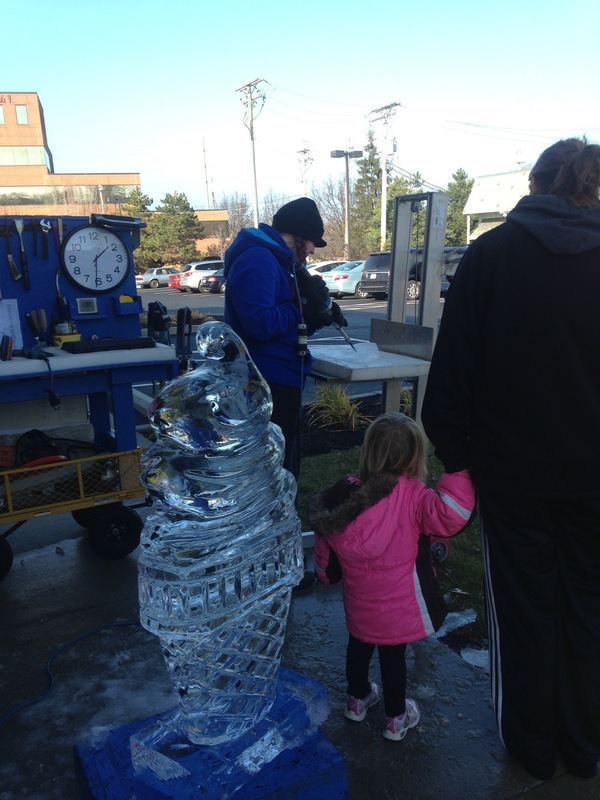 Regular attendees included Santa Claus, the Grinch, Rudolph and horse-drawn sleighs.The ice sculptures, as usual, were a big hit as well. Congratulations to The Frame Artist for winning the Holiday Window Display contest! After all the votes were tallied, Amy Baumberger and her team were awarded the prize for favorite Downtown River window. Voters were entered into a drawing for a $500 gift certificate to the Holiday Walk's sponsor merchant, MAISON by Paysage. 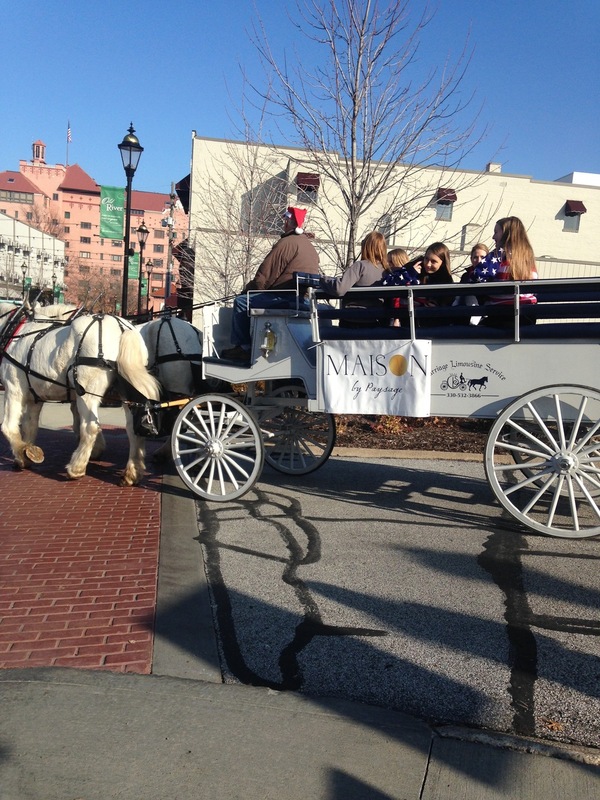 The winners were Trish and Kris Atwater, parents of four kids, ages 1, 6, 9 and 15, who attend the Holiday Walk annually. They always enjoy a Santa visit, get some hot chocolate from Erie Island Coffee, ride the carriage and shop at the local stores. Congratulations to the Atwater family! Downtown River was also proud to show support for the less fortunate in our community. A check for $1000.00 from the proceeds of photos with Santa was presented to the Rocky River Assistance Program, a volunteer-run organization that collects, sorts, packs and provides food to 70-80 Rocky River families per year. The contribution will go toward funding a local Elementary Lunch Program. Giving at the Holidays is good for everyone in our community.